Congress is currently considering legislation that would dramatically alter administrative law by eliminating so-called “Chevron deference.” The House of Representatives passed the Separation of Powers Restoration Act of 2016 last year, and it is currently pending before the Senate Judiciary Committee. Chevron U.S.A., 467 U.S. at 842-43. The Court’s decision in Chevron is one of the most frequently cited administrative law decisions. Because Chevron deference is also credited with strengthening the power of federal agencies, such as the Environmental Protection Agency and Federal Communications Commission, it has also come under fire by legal scholar, lawmakers, and even the Supreme Court. The Separation of Powers Restoration Act modifies the scope of judicial review of agency actions to eliminate Chevron deference. 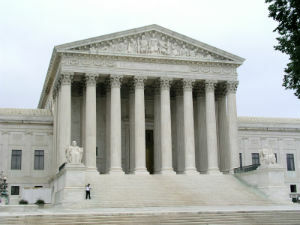 It would amend the Administrative Procedures Act to authorize courts reviewing agency actions to decide de novo (i.e., without giving deference to the agency’s interpretation) all relevant questions of law, including the interpretation of: (1) constitutional and statutory provisions, and (2) rules made by agencies. It is unclear whether the Republican-held Senate will pass the proposed bill. We will continue to track the Separation of Powers Restoration Act and post updates as they become available. For more information about the Separation of Powers Restoration Act or the legal issues involved, we encourage you to contact a member of Scarinci Hollenbeck’s Government Law Group.